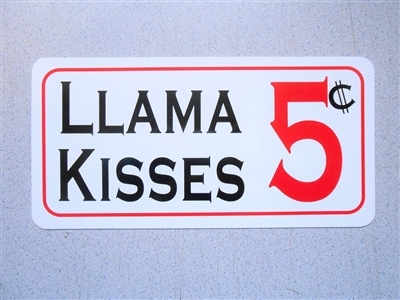 Who wouldn't want llama kisses? 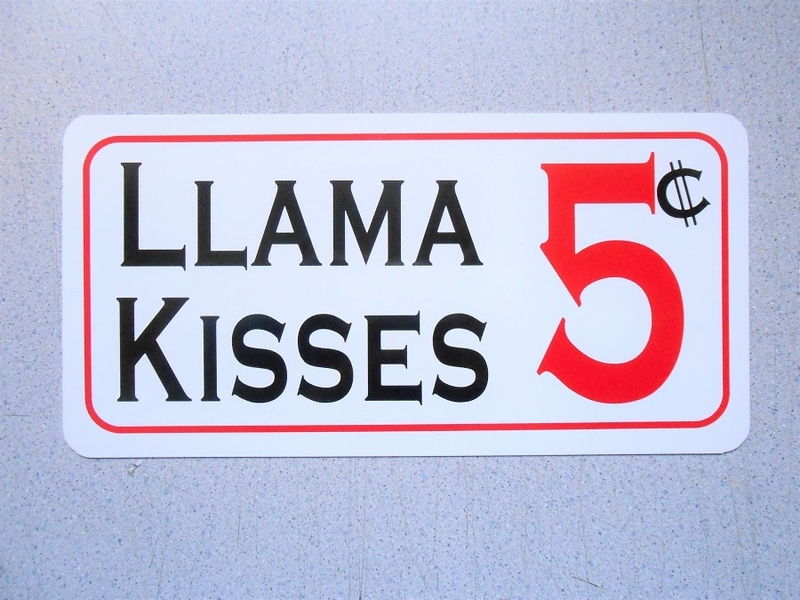 You will have some fun with this sign posted on your fence. in your barn, or at shows or other public events! 6"x12" Aluminum Sign with hand applied graphics in black and red text on a white background. Made to stand up to the weather. Post this sign indoors or outdoors!